This dataset shows the 2013 Shared Savings Program (SSP) Accountable Care Organization (ACO) data Public Use File (PUF), which has been updated to include for each ACO the mean final prospective Centers for Medicare and Medicaid Service’s (CMS) Hierarchical Condition Category (HCC) risk score for the four Medicare enrollment types (End-Stage Renal Disease (ESRD), disabled, aged/dual, aged/non-dual) for each of the benchmark year and calendar year 2013 risk scores for performance year 1. This dataset shows the 2013 Shared Savings Program (SSP) Accountable Care Organization (ACO) data Public Use File (PUF), which has been updated to include for each ACO the mean final prospective CMS-HCC risk score for the four Medicare enrollment types (End-Stage Renal Disease (ESRD), disabled, aged/dual, aged/non-dual) for each of the benchmark year and calendar year 2013 risk scores for performance year 1. This dataset addresses the increasing number of requests for SSP ACO data, the Centers for Medicare and Medicaid Services (CMS) has created a standard analytical file that CMS can use to efficiently satisfy these requests. 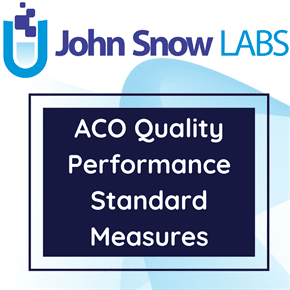 It is the intent of CMS to publish the ACO-level public-use file (PUF) that contains ACO-specific metrics as well as summarized beneficiary and provider information for each performance year of the SSP program. The risk scores used in this dataset are based on the applicable risk adjustment model for the applicable year and renormalized so that the mean national Fee-For-Services (FFS) risk score equals 1.0. Risk scores for each enrollment type are renormalized to their own populations and thus are not on the same scale and not comparable.